This listing is for Slim Xbox 360 consoles. For Phat consoles, scroll up. Now if you've identified an Hitachi drive (as on the left drive tray image) then you're basically out of luck @ the moment - little (if any) progress has been made on the hacking of these drives. They appear to be pretty rare, so this is probably the main reason! If you have a Slim Xbox 360, it will be flashed with LT 3.0 for all Slim 360 Liteon drives. LT V3.0 is compatible with the latest dash and has AP2.5/2.6 built in and also offers XGD3 ORIGINAL booting. If you are not 100% sure which drive you have, you can still send it in and we can verify once you open your console. Basically, it is $39.95 for flashing. If it is anything but the 9504 drive, it will be an additional $64.95 for the Team Xecuter Liteon D6-16D4S Replacement PCB LOCATED HERE . We can always add the PCB board to your order later once we find out. JTAG your console! Boot open source and homebrew applications on their Xbox 360! Installation service for xk3y ODE on your XBox 360 PHAT or SLIM! 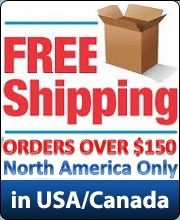 Neat, professional service from your favourite North American distributor and service provider! Note: USA service for our USA customers! Canadian/international service Located in Canada Ontario! I received a faulty xk3y. The xk3y was returned and replaced without any hassle and very quickly. The customer service here is amazing!